Today is our 50th episode – 5-0!! Today is also my 19th wedding anniversary – yep, you heard that right, 19! And what a fun way to honor our marriage, to have the inspiration for this podcast, my husband Mike, share in this 50th episode with me. You will quickly see why I am so in love with him and the joy and perspective he brings to my life. If you are new to the podcast, this episode is unique. I took a listener’s suggestion and had you, our community members, submit questions of what they would like to know from me. So for this our 50th episode, you are interviewing me. Mike and I had so much fun as he leads an interview on your behalf, filled with your questions- as many of them as he could squeeze in! I answer questions about Mike and I and how we met, how our life has changed with the onset of his Multiple Sclerosis. 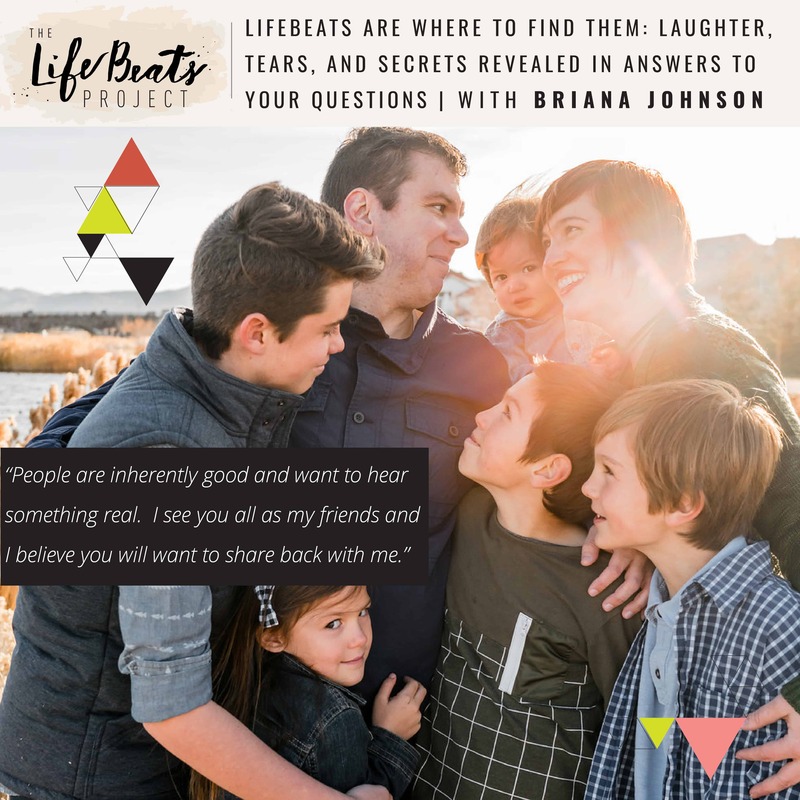 I share why I started this podcast and what keeps me committed to The LifeBeats Project despite all that is going on and what does balance mean to me and my secrets to staying positive. Mike happily asks me if I believe in aliens and what is a top of my bucket list as well as tries to get me to do rapid fire answers to questions like 3 can’t live without items and top places to travel. You will hear lots of laughter, a few tears, and probably even our children who sound like turkeys gobbling in the background. Listen and learn a little bit more about me and how you are key to keeping me going every single day. Q: What keeps you committed to the LifeBeats Project? What keeps you driven when life seems to be crashing around you? Q: How are you able to be so open and vulnerable with all us listeners? Q: How do you do it all? What is balance to you and do you feel like you achieve it – if so, how? Loved this! I listened to this while doing my aerobics with the volume tuned down and your cast on full volume! Love your heart and what good you are doing to help us. You inspire me to be better Briana! I would love to come to your event in February! YOU ARE AMAZING! Janis!! Its so great to hear from you. You are a rockstar for doing your aerobics AND listening to the podcast while doing it. Thank you so much for these kind words and I look forward to seeing you at the event!!! I absolutely LOVE the idea of an “I don’t do” list. I think everyone needs to have one. It can make life so much easier and more enjoyable. You have ALWAYS been a positive, glass half full, everyone is good, person. Always! Congratulations Briana! You inspire and make a difference in lives everywhere!